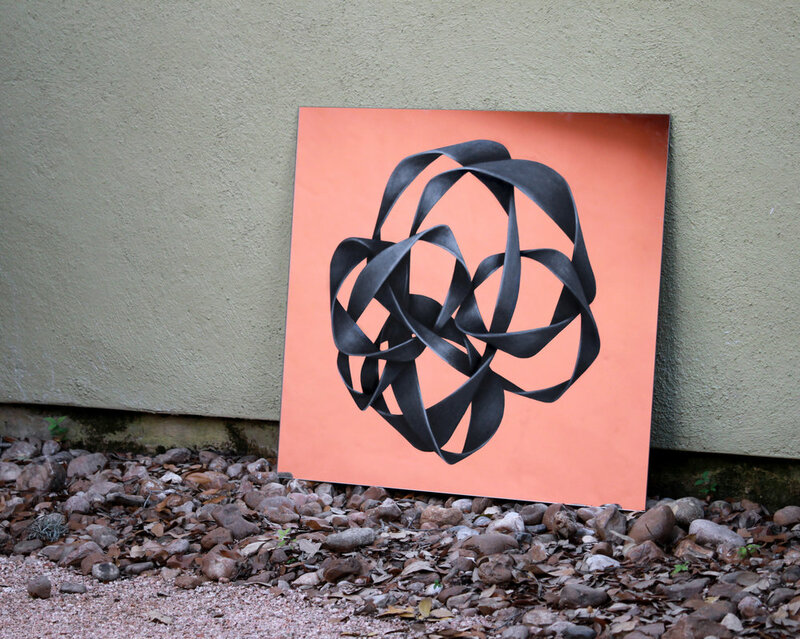 These are images of cut-out knots staged in various environments outside of my art studio. The knots are placed on mirrors that reflect their surroundings and produce an unusual background. 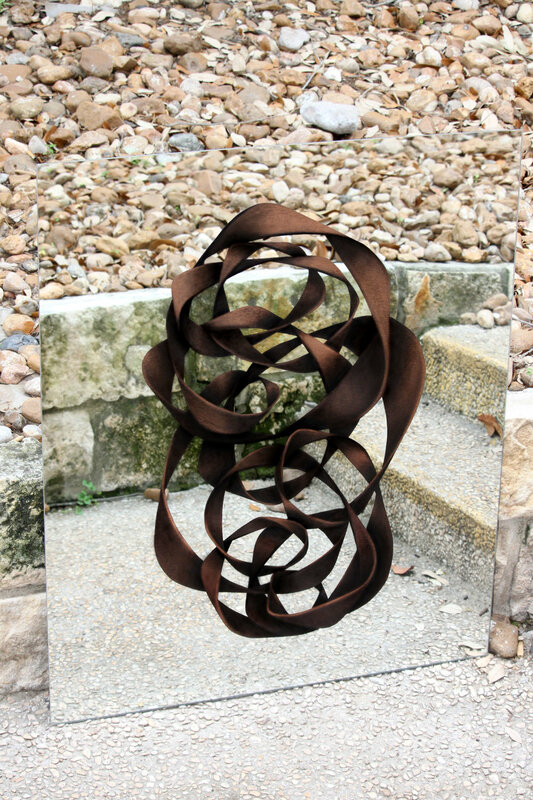 As with all optical illusions, their effect is to disrupt our certainty that what we think we're seeing is what's really there.